TORONTO, August 5, 2015 – For eight days this August, 60 Royal LePage agents, broker/owners, staff and family members from across Canada will hike at high altitude to raise much-needed funds and awareness to break the cycle of domestic violence. For the cause, they will endure zero temperature nights camping in tents and go without running water, electricity or cell phone service. Heralding from seven provinces, all participants in the Machu Picchu Challenge for Shelter must raise at least $5,000 for the Royal LePage Shelter Foundation and cover their airfare to Peru and the majority of their trek costs. The participants range in age from 16-70 and consist of solo trekkers plus husband-wife, mother-son and mother-daughter teams. One Royal LePage agent is bringing her daughter as a 16th birthday gift and there is a couple that will be celebrating their 30th anniversary on the trek. 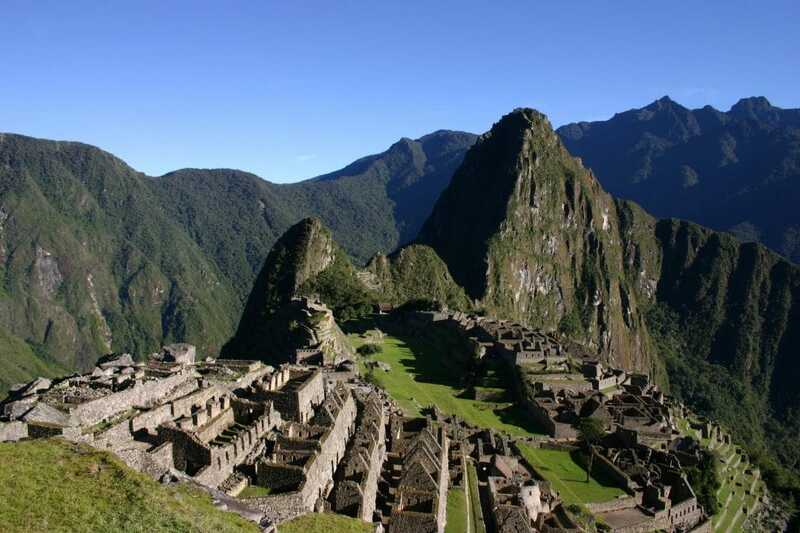 Several participants in the Machu Picchu Challenge for Shelter experienced abuse in their past relationships or lived with family violence when they were growing up. All are motivated to make a difference in the lives of those currently experiencing abuse. Trekkers will begin in the ancient Inca capital of Cusco where they will acclimate to the high altitude (11,400 feet) by visiting local Inca ruins and Spanish Colonial churches. Then, they will hike through the remote Lares Valley where they will glimpse a way of life that has remained unchanged for centuries. The Challenge trekkers will make their way to the Sun Gate at Machu Picchu, the “lost City of the Incas,” via the Inca Trail where they will explore breathtaking pre-Columbian ruins nestled high in the Andes Mountains. In addition to collectively raising close to $400,000 for the charity, the participants have trained for months with regimens such as CrossFit and stair climbing to ensure they can meet the physical demands of hiking for long days at high altitude. Now in its 17th year, the Royal LePage Shelter Foundation supports 200 women’s shelters and other domestic violence programs across the country, helping more than 30,000 women and children every year. It’s also committed to funding violence prevention initiatives and education programs aimed at helping youth develop healthy relationships. Since its inception, the Royal LePage Shelter Foundation has raised more than $20 million. This is achieved with the help and support of generous Royal LePage agents, broker/owners, staff and business partners, along with members of the communities where Royal LePage operates. “Royal LePage Realtors® understand that a house is only truly a home when the people who live there are safe,” said Ms. Spencer-Brown. “Unfortunately, for the thousands of women and children in Canada who experience domestic violence, this is not the case. On average, every six days a Canadian woman is killed by her current or former partner. Participants in the Machu Picchu Challenge for Shelter are going the extra distance to bring safety to abused women and children in their communities and to prevent such tragedies from taking place.